Where's my gluten free crust at Pizza 73? Help us make it happen! Once upon a time before our Celiac diagnosis we used to order from Pizza 73 every so often when we were lazy and didn't feel like cooking dinner. It was the only pizza we would order for deliver because it is the best delivery pizza in Edmonton. Since the Celiac diagnosis we have been deprived of our pizza delivery orders! Last year to our surprise when we went to Toronto, we found out that Pizza 73's east cost sister company Pizza Pizza actually serves up a gluten free crust to its customers! When living in Toronto, Pizza Pizza was our favourite delivery pizza, so we obviously had to try this crust, and it was fantastic! After returning to Edmonton, we found that Pizza 73 actually had a one time fundraiser in tandem with Pizza Pizza where they sold gluten free pizzas! We got really excited, and contacted their marketing department, where we were told that they were working on the idea. 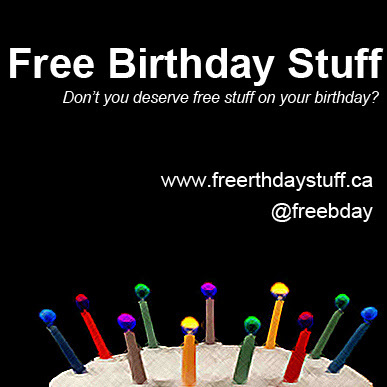 Unfortunately a year has passed, and we have not seen a gluten free pizza from Pizza 73 in Edmonton. We think we need to show Pizza 73 that there is a demand out west for the same gluten free crust! So help us out and start contacting Pizza 73 to request to have a gluten free crust like Pizza Pizza! The requests they receive, the more likely we will get our crust, so tell all your friends! Let Pizza 73 know we want out pizza delivered! This gluten free recipe is from the Gluten Free Everyday cookbook. We tried this recipe because we used to buy store bought coconut shrimp, but realised we could no longer buy it because it was not gluten free. I have to say we did not make the marmalade, but used to alternative sauces instead. Pat the cooked shrimp dry with paper towels and set aside. For the coating: In a medium bowl, whisk the cornstarch, tapioca flour, and Old Bay seasoning together. In another bowl, whisk the egg. Put the coconut in a third shallow bowl. Coat the shrimp with the cornstarch mix and shake off excess starch. Dip into the egg and then roll in the coconut. In a large, heavy saute pan, heat 3 inches of oil over medium high heat. Deep fry 6 shrimp at a time until lightly browned, about 2 minutes. Transfer to paper towels to drain. Repeat for the remainder. Serve with salad and rice! Our tip: Watch the shrimp carefully, basically by the time we put the shrimp in they were ready and toasty, so two minutes is probably too much. Because the shrimp is cooked, you really only have to worry about the batter browning. Alternative Sauces: We used No Name Pineapple sauce, and made our own shrimp sauce with two part ketchup, and one part white horseradish. This recipe is from the Gluten Free Everyday cookbook. It takes about an hour to make and serves four. This meal tastes great. Let us know how it turned out for you and what variations you made on the recipe! Preheat the oven 350F and grease a 9 by 13 inch glass dish. In a large bowl, combine the sour cream, chiles, green onions, cilantro, cumin, chicken, and 1/2 cup of the cheddar. Season to taste with salt and pepper. Spread 1/4 cup of the salsa on the bottom of the prepared dish and lay 4 tortilla halves in the dish to cover the bottom. Spread half the filling and 1/2 cup of the cheese on top of the tortillas. Layer 4 more tortilla halves on top of the cheese, then spread with 1/4 cup of salsa. Spread the remaining filling on top of the salsa, followed by the remianing tortillas. Top with the remaining salsa and cheese (you can just use another 1/4 cup of salsa). Cover with foil and bake through for 40 minutes. Bake an additional 10 minutes with foil off to melt cheese on top. Take out of oven and let it settle for 15 minutes. Tip: cook chicken in fajita mix for extra flavouring. Available at Chapters, Earths General Store and Indigo in Edmonton. 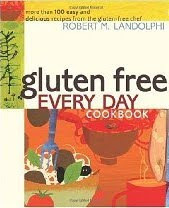 This is the first Gluten Free Cookbook we purchased. We reviewed a lot of gluten free books on the shelf at our local Chapters, but found most books focused on baked goods. Which we understand, because we hear a lot of people have trouble bakign gluten free because they are not sure how to use the gluten free flour mixes. We found the quite opposite because Amanda already like to bake, she felt comfortable trying out baking recipes and adapting them with gluten free flour mixes. We found ourselves asking ourselves "How the heck can we adapt our current repatoir of recipes to gluten free?". Well, Gluten Free Everyday has helped us out with that! 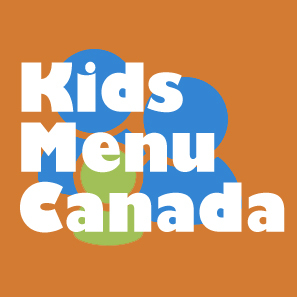 A fresh set of recipes to try out for dinner meals. Besides dinner meals, Gluten Free Everyday shares a variety of side dishes, cakes, cookies, breads etc. The recipes are easy as the book states, but they do take some time to prepare and cook. Some recipes we have tried are the Pad Thai, Coconut Shrimp and Chicken Enchilada Casserole. NOTE: One note in this book that we have found correct is that it lists Lea & Perrins as gluten free. Atleast in Canada, it contains Malt, which is not gluten free. Next time you are at Chapters, give this gluten free cookbook a flip through and let us know what you think! 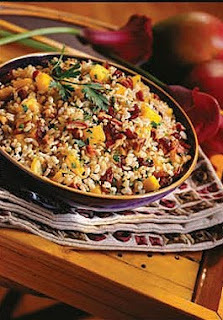 Here is a bonus gluten free recipe courtesy of the USA Rice Federation! 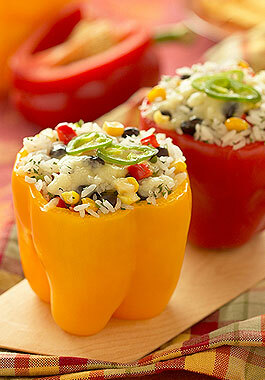 These delicious peppers are stuffed with a bounty of delicious ingredients including black beans, corn, peppers and USA Rice. Simple to prepare, they make a colourful addition to any fall meal. Use red, yellow or green peppers for a rainbow of colours. Slice off the top of each pepper; remove seeds and membranes; rinse. Cook peppers 5 minutes in enough boiling water to cover; drain. Season inside of peppers with salt and pepper; set aside. Combine rice, beans, corn, onion, red pepper, jalapeño peppers, cumin and oregano. Spoon 1-cup (250 mL) rice mixture into each pepper; stand upright in 9 x 13-inch (3 L) baking dish. Cover with foil. Bake in 350F (180C) oven for 20 minutes. (Add about 5 minutes more if has been refrigerated). Remove foil and sprinkle peppers with cheese. Bake until cheese is melted, about 5 minutes. Garnish with jalapeño pepper slices. In a frying pan either scramble or fry the eggs. Brown up the turkey bacon, it should only take a couple of minutes. Once ready, place eggs & turkey bacon on plate and put to the side. Put margarine on both sides of each piece of bread and put 2 pieces into the frying pan. Layer the cheese, turkey bacon and egg on top of the first piece of bread. Pepper to taste. Top with the other piece of bread and grill (think grilled cheese sandwiches...mmm). It should take a couple of minutes for the first side to get crisp. When browned, flip over and grill the other side of the sandwich. Be careful to keep an eye on the sandwich as gluten free bread sometimes browns faster than regular bread does, but it still toats so well!. Enjoy and let us know how this recipe works out for you.